Discipline in sport, or in any other part of life, is certainly a necessity. You require an almost superhuman level of focus, concentration and hard work in equal measure if you want to succeed at the highest level. There will be distractions aplenty, but wavering from discipline in the pursuit of other pleasures is not the hallmark of a sportsman. Revelations of drug scandals involving some of the leading figures in the world of sport have become a very regular occurrence now. In the late seventies and early eighties, cricket witnessed the beginning of this menace, watching in horror as supreme talents fell into oblivion due to their penchant for such substances. Their skills were never in question, but the continued abuse of marijuana, cocaine etc. wrecked them completely – both in their professional as well as personal lives. On the heels of their growing dependency on such toxic items, several such players belonging to the West Indies embarked upon a tour to South Africa in defiance of the existing norms that the United Nations and the governments of their own countries had established with regards to the apartheid era then prevalent in the Rainbow Nation. Despite a winning performance, and contributing a little towards the beginning of changed thinking with regard to the coloured population, they were shunned, ostracized and vilified upon their return to the Caribbean. Among that band of so-called mercenaries was one player who had a cricketing pedigree second to none, at least not in that team. Fluid and graceful behind the stumps, he had also inherited some of his legendary father’s powerful batting genes. Most unfortunately, he had also fallen into the habit of using marijuana, though it did not affect his on-field performances. David Murray, son of the legendary Everton de Courcy Weekes, was one of the casualties of that 1983 rebel tour which, coupled with his drug habit, ended his playing career rather prematurely. Before his fall from grace, he was one of those cricketers who commanded respect simply by his calm, athletic presence as a wicket-keeper. Add to that his stylish stroke-play, and David really stood out like a Goliath among all the other glovesmen of his era. Locals still talk fondly about the silky movements of his hands, a feature of his keeping style. He would have been the best answer to the Windies’ dilemma of having a stumper who could bat well too. The flair in his willow-wielding exploits was evidence of the powerful genes he had been bestowed with by his more illustrious father. However, he did something at the age of eleven that would haunt him forever; he took to smoking cigarettes, before switching to marijuana in his later years. Despite all this, his skills did not wane. He struck three half-centuries in his nineteen Test matches, and even had a double hundred in first-class cricket. He did not concede even a single bye in his maiden appearance in the domestic cricketing arena. Crouching low and blessed with nimble feet, he could anticipate the movement, even the late ones that the bowlers would generate, and move with the agility of a panther on either side of the wicket. 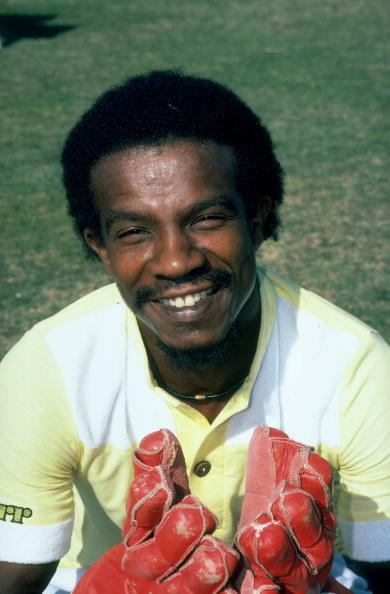 The Barbados selectors persisted with the young talent, eventually making him their first-choice wicket-keeper even when the touring Australians played a game with the local side in the 1972-73 season. Those performances were enough to send him on the tour to England in 1973, as understudy to fellow stumper and namesake Deryck Murray. David blasted a magnificent century – his first in first-class cricket – against Kent, displaying ample proof of his abilities with the willow. His fine form continued on the tours to the Indian sub-continent; playing once again as specialist batsman, he made another century against the likes of spin legends Prasanna and Chandrasekhar at Ahmedabad, pairing with the great Viv Richards. Yet, he still could not break into the Test side.